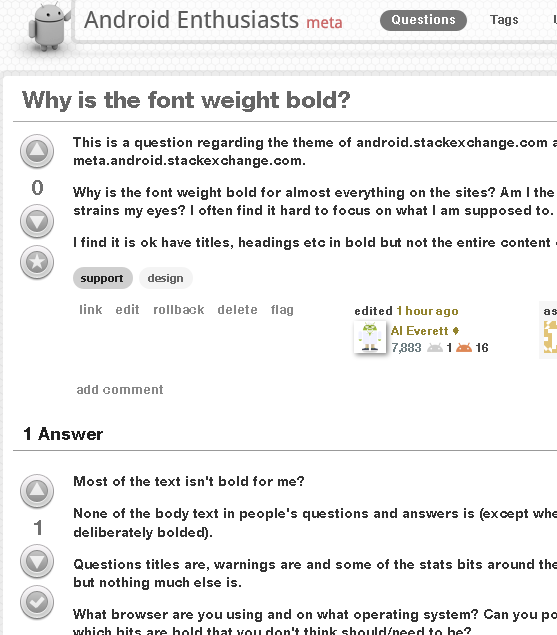 This is a question regarding the theme of android.stackexchange.com and meta.android.stackexchange.com. Why is the font weight bold for almost everything on the sites? Am I the only one who finds that it strains my eyes? I often find it hard to focus on what I am supposed to. I find it is ok to have titles, headings etc in bold but not the entire content of these websites. 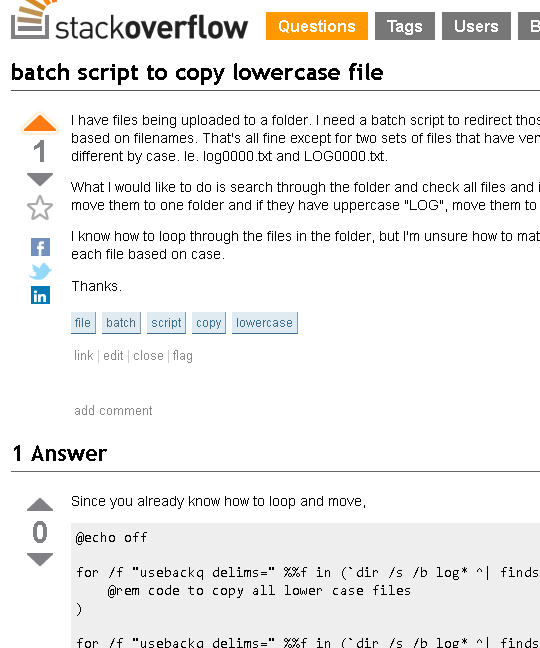 Posting screenshots of android.stackexchange.com and stackoverflow.com for comparison. I am using Firefox 6.0.1 on Windows XP SP3. Most of the text isn't bold for me? None of the body text in people's questions and answers is (except where sections have been deliberately bolded). Questions titles are, warnings are and some of the stats bits around the edge of the page are, but nothing much else is. What browser are you using and on what operating system? Can you post a screenshot showing which bits are bold that you don't think should/need to be? Seems to me you have a messed up Droid font installed. Check your system and uninstall any "Droid" fonts you may have. Then re-install them properly. It's a bug with as @Jin said, the Roboto font. I can't uninstall it as the Android SDK requires it, so I used user style-sheets to solve the problem. This works fine for me on both Android.SE and Meta.Android.SE. Really does a favor on my eyes. Hope it helped.